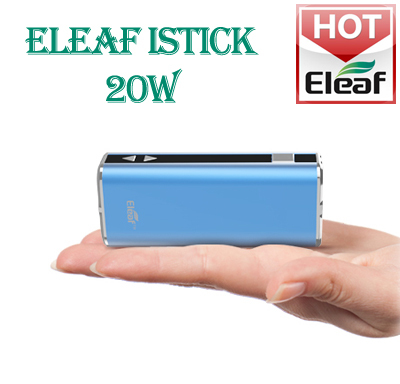 Eleaf iStick output power 20W, also named "iStick 20W", with a fashionable metallic appearance. With a compact size, you can hold that in the palm, much more convenient for usage and portability. There are four colors for your option: black, silver, red and blue. Meanwhile, the functions are powerful. The highlight is the incremental OLED screen. If you want to buy it, I suggest you purchase it at istick.org, which is Eleaf official authorized online store, promise all products are 100% original Eleaf products and you can enjoy a perfect after-sales service. the most important of all is you can enjoy 20% off discount, high quality and inexpensive!